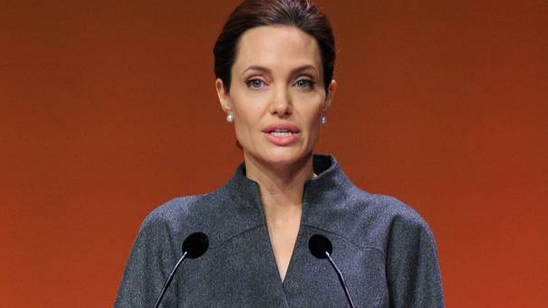 ANGELINA Jolie devotes part of "almost every day" to her work with refugees. The 40-year-old actress-and-director was named a goodwill ambassador for the United Nations (UN) 15 years ago and now acts as a special envoy to the UN Refugee Agency, and as well as taking part in high-profile meetings and debates, she also does a lot behind the scenes. She said: "Some part of almost every day in my life is devoted to international issues, whether talking with my colleagues about the news, the underlying factors, what we think needs to be said or done next on the issues we're working on, preparing field visits or speeches. "I often try to meet people with interesting and opposing viewpoints so I can learn." Angelina raises children Maddox, 14, Pax, 12, Zahara, 11, Shiloh, nine, and seven-year-old twins Knox and Vivienne with husband Brad Pitt and is proud her kids are taking an interest in her work with refugees, with her eldest son even helping her on her latest directorial project, 'First They Killed My Father', which is based on Loung Ung's account of the Khmer Rouge's regime in Maddox's native Cambodia. She told Britain's HELLO! magazine: "Maddox has known Loung since he was a baby. It was his urging that pushed me to make the film. "He has been with me every step of the way, from script to post-production. "Shiloh asked to travel with me to Lebanon after I told her of a little Syrian girl named Hala. "She wanted to meet her and she and Pax have shown interest, like most kids do, in what their mom does. So they asked. "I'd never push them to be involved. It's something I believe each person must come to on their own. It has to be an honest and real connection."